Spain's ruling conservative fears a powerful, united Catalan-Valencian language and will do everything possible to keep them separate. 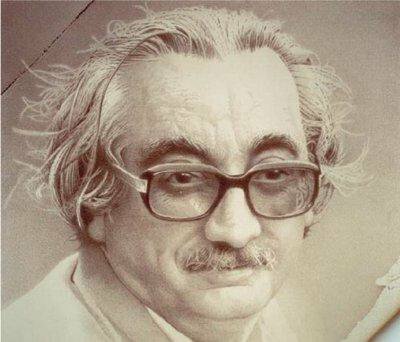 Joan Fuster - one of the most famous advocates for the unity of Catalan and Valencian. Wikimedia. Public domain. There are twenty-four recognised languages of the European Union. Not even India can boast as many, at least officially (23). Among the EU’s 24 are Irish Gaelic and Maltese, the smallest ones, which benefit from their renewed international status. The EU is a champion of free movement and diversity – endorsing languages is consequential. The 11.5 million-strong Catalan-Valencian language is regarded as a regional language; its status is hence hierarchically inferior. That’s not the result of EU shortsightedness, but the upshot of manoeuvering from Madrid. Bureaucracy and political meddling of the eye-for-an-eye type are the cause of this. The cultural, linguistic and editorial weight of Catalan-Valencian has been brushed aside. A crime against diversity. Whilst Dublin pushed Irish Gaelic through Brussels’ mesh, Madrid has craftily resorted to a loophole to keep Catalan-Valencian away from the Continent’s linguistic centre-stage. The Spanish political establishment has asked for Catalan-Valencian not to be included – Spain mustn’t be internationally identified with any other languages other than Spanish. As an example of such a ruthless attitude, just consider the 2004 institutional episode: the EU asked for translations of its Constitution in Spain’s various languages. What the Madridian government did was to produce two separate translations of the same language, implicitly arguing that the two were two different languages. The languages in question were Catalan and Valencian. The two are in fact just one language, with all its variations in regional pronunciation and preference for certain words over others that are also correct – a trait common to all languages, but not enough to break them up in separate ‘modules’, so to speak. Gaelic is something Ireland is proud of. Catalan-Valencian is something Spain would gladly do without, like an embarrassing relative, the awkward one you don’t want to be associated with. A bit like a skeleton in the proverbial closet. Catalan and Valencian are one and as one, it deserves space on Spain’s international stage. That way you’d avoid the painful and hurtful case for secession. You’d stop talking about independence. You’d stop setting up bogus referendums with no constitutional value. You’d unblock the national discourse and start talking about very serious matters concerning the country as a whole. Podemos has set a good example; it’s stretched a compassionate and friendly hand to the idea of the Països Catalans, the age-old, controversial concept of The Catalan Countries, brilliantly depicted by Joan Fuster in his 1962 seminal work – Nosaltres, els Valencians (Us, the Valencians) – on the topic of Valencian and Catalan being really the same linguistic expression of one community, of one culture. In 1981 two bombs went off at Fuster’s home. Nobody was ever charged. Presumably it was someone who didn’t like the Valencian author’s efforts of promoting the one Catalan thing, encompassing all concerned territories – a very large chunk of Spain and beyond. Spain is a huge vessel of nuances and complexities; it has nothing to do with the craftily, conveniently shaped monolith Partido Popular (PP) feels proud to represent. PP’s been throwing all its influence, power and money to wage a war against the Catalan-Valencian language and all its manifestations. Spain’s Education Minister José Ignacio Wert has been outspoken time and time again antagonizing the use of Catalan in Catalonia, the Land of Valencia and the Balearics – claiming students there have started unlearning Spanish. Tests have shown this is not true. PP is in real terms trying to fragment the force of Catalan-Valencian, a language spoken almost by one in four Spaniards. There’s nothing like it in any other EU countries. Not on such a scale. We’re talking about millions of people. Perhaps there’s room for the EU to do something about it: Catalan belongs to us all and sectarian, prejudiced, fear-instilling politics shouldn’t undermine its relevance. More funds should be made available to study it in our European universities. More funds should be made available to translate Catalan-language works into other languages. What does RACV stand for? The Real Academia de Cultura Valenciana (RACV) doesn’t agree with the standardization of Catalan as it’d long ago been established in Barcelona by the scholar Pompeu Fabra. It claims that although Catalan and Valencian are very, very similar, they are not 100 per cent the same and should be spelled differently. All serious linguists would claim that the two, Catalan and Valencian, are the same language and should be called by the same name. Call it Catalan, call it Valencian, call it Thingumajig, call it whatever you like, but don’t try and pretend they’re not the same. It’s a bit like saying that Scouse English when compared to Estuary English is another language. (Many would actually agree, by the way.) They’re fundamentally not. Standardizing a language is of paramount importance. Especially when it comes to so-called minority languages, even though Catalan-Valencian can boast millions of speakers – not a minnow in overall terms. Unfortunately there’s still a significant minority of people in the Land of Valencia who don’t regard Valencian as the same as Catalan. A fallacy propped up by RACV statements – and usually propagated by individuals who don’t speak the language. Now, if the unity of a language is regarded as its main source of strength, you’d just adopt Barcelona’s standard, that of the Institut d’Estudis Catalans. For the sake of keeping the language together, instead of helping it fall apart. Like El Temps’ efforts show (a weekly put together in Valencia comparable in quality to the New Statesman or Der Spiegel). Be pragmatic about it, that’s the publication’s lesson. El Temps – and its editorial excellence testifies to its intellectual seriousness – proudly maintains on its home page: “El Temps is a weekly magazine of general information published in Catalan since 1984 by Edicions del País Valencià, SA. El Temps has editorial offices in Valencia, Barcelona and Palma de Mallorca and foreign correspondents in Europe’s major capital cities.” A Valencian publication that’s a beacon of Catalan-language unity. It unmistakably promotes Valencian as the same as Catalan; clearly an anti-PP editorial line. Let’s also look at the international linguistic summits for Spanish, for instance. Scholars as far away as Panama and Puerto Rico are consistently consulted in an effort to create a continuum of language perspectives and sensibilities. That way Spanish is as resilient as it could ever be for its ability to bring in all new and ongoing ramifications. Spanish is a healthy plant thriving on nourished soil. This isn’t the case for Catalan-Valencian: arsenic is being injected in its soil. The TV3 incident is a telling episode of political sabotage via a foul linguistic policy. TV3 is the main broadcaster in Catalan language. It started off in 1983 and thanks to private relay masts the always innovative Barcelona-based channel was gradually picked up well outside Catalonia in the rest of Spain’s and France’s Catalan-speaking areas. It was successful. Until 2007 when the Land of Valencia governed by PP forbade TV3 from broadcasting in the region – TV3 relay masts outside Catalonia were soon afterwards closed down. An ugly case of censorship. The Valencian author Toni Cucarella has always maintained that PP is behind all attempts to divide Catalan and Valencian. According to him PP has set up a language academy – the Acadèmia Valenciana de la Llengua (AVL) – that’s outdone the Barcelona-based Institut d'Estudis Catalans in Valencia. AVL has managed to be officially recognized as the sole linguistic governing body of Valencian, which it portrays as a language other than Catalan. In an illuminating article that recently appeared in El Temps, Joan Francesc Mira correctly points out that people in the Land of Valencia didn’t know they spoke the same language as the Catalans’. He stresses that “Catalan was perceived as a foreign thing, distant and different, only partially intelligible”. It was long ago, at a time when people could barely sign their own name and had very few opportunities to travel. TV hadn’t been invented. The same País Valencià as depicted by the novelist Vicent Blasco Ibáñez in his La Barraca (The Hut, 1898). The book , written in Spanish, has many of the dialogues written in Valencian, which Blasco Ibáñez would quite happily claim, if he were alive today, is the same as Catalan. In other words, only highly educated people knew that Valencian and Catalan were two names for the same thing– but they had been divided in the collective mind, Mira argues. People simply did not know. Now they do – the level of awareness is astonishing today. One would hope that PP will eventually give up on its antagonistic efforts to portray a united, Castilian-only, monarchy-faithful Spain, to the detriment of other languages whose cultures are more inclined to favour different institutional arrangements (Republic v. Monarchy). Valencian and Catalan are gradually yet resolutely becoming one– it’s about time. A resurgence that is already enriching Spanish too, without questioning its status. It’s not a competition with winners and losers. It’s about cross-pollinating and expanding the mind. Enhorabona!